​With thousands of Christingle celebrations taking place across the UK in November and December, we’re already starting to see the fruits (no pun intended) of the effort put in by thousands of churches and schools to raise the vital funds we need to keep supporting children and young people. I’m pleased to say that so far, Christingle has raised over £300,000 – an absolutely fantastic achievement that could not have happened without you. 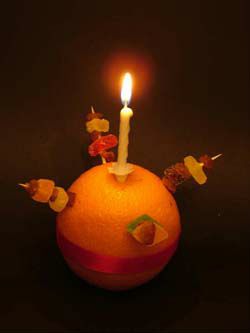 I’ve already heard from a few people what an enormous success their Christingle celebrations have been and how much they have enjoyed them.